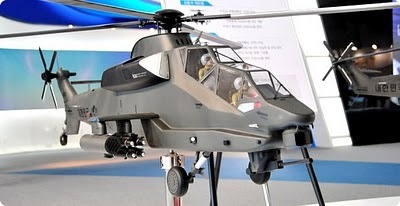 JAKARTA, (Xinhua) -- Indonesia's plane company PT Dirgantara Indonesia will develop a light attack helicopter and military cooperation with South Korea, a top executive said here on Thursday. "We are in cooperation with the Indonesian Army to develop a light attack helicopter that could be used to confront separatist and smugglers," said Budi Santoso, president director of PT Dirgantara Indonesia in a parliamentary hearing. He said that characteristic of the helicopter is different from MI35 that is designed for opened battle in which noise is not important. "The most important element of the light attack helicopter is its low noise while flying. We don't need helicopters like MI35 that its noise could be heard from a distance of 10 kilometers," Santoso said. He also said that the Defense Ministry and its South Korean counterpart are developing a program named the Korean Fighter Program (KFP). "This is our opportunity to upgrade our skill and to grow new expertise, mainly in engineering," he said. According to Santoso, general lifetime of a plane is about 20- 30 years. "However, during the lifetime, we need maybe twice or three times of upgrade on weaponry and avionic system. If we have the expertise, we could upgrade it according to our needs," he said.